Only a week to go before the kick off of a weekend of fun and frolics at The Thames Festival along the river in London. 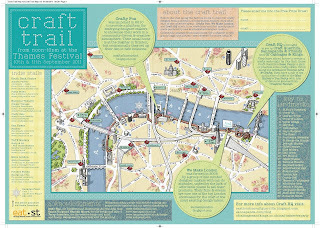 I am having a stall in the We Make London area along with many talented designers as part of the Craft Trail which is a new addition to the festival. 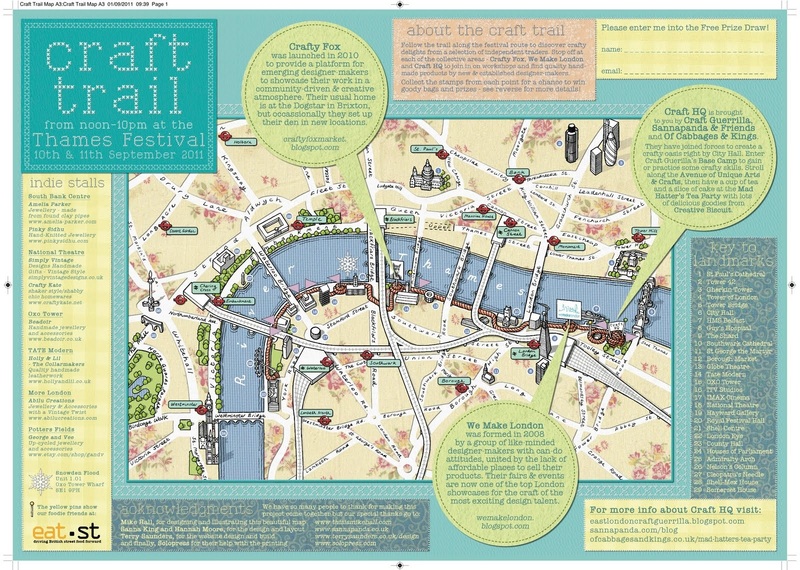 The festival and the Craft Trail are on for the whole weekend of Sept 10 - 11 from midday until late. There are many crafty events and workshops which I am hoping I might be able to pop to some of if I can get someone to man my stall for a few minutes. The Festival itself is a celebration of London. There is something for everyone from Jive to a night time carnival to barge races to a feast of food on Southwark bridge. All topped off with a firework display. If you are in London or fancy a day trip then pop along and join in the party. Make sure you pop along and say hi.